ESSIAC® is a herbal formula that has been available since 1922. The formula was given to nurse Rene Caisse from a Canadian Ojibwa Indian. She used it to help people with serious illnesses. Nurse Caisse prepared her original herbal formula into a drink named ESSIAC®, which is her last name spelled backwards. 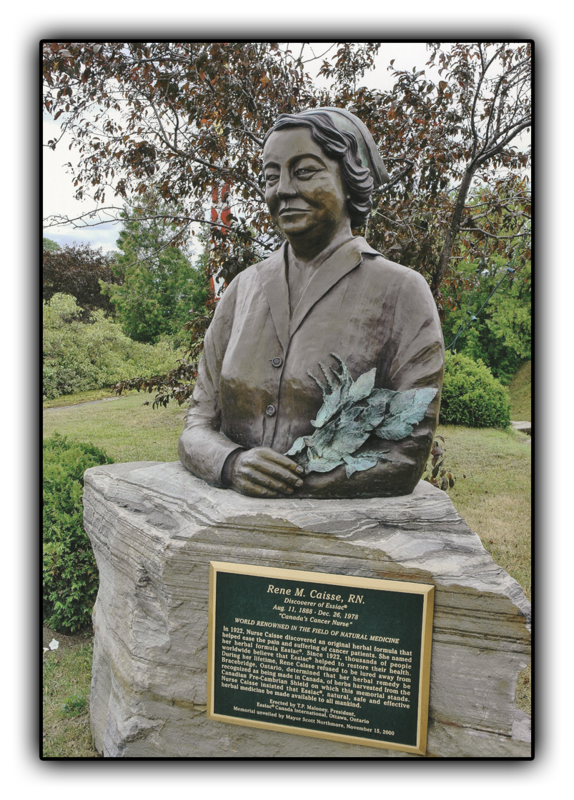 From 1922 to 1978, Nurse Caisse helped thousands of people with her ESSIAC® herbal supplement at her clinic in Bracebridge, Ontario, Canada. In 1977, Nurse Caisse signed over all of her rights to the ESSIAC® formula to Resperin Corporation Limited. Dr. Charles Brusch of Cambridge, Massachusetts, witnessed the signing of the agreement between Rene Caisse and Resperin, attesting that her herbal formula was never revealed to anyone other than to Resperin. To view the agreement, click here. Resperin gave her the assurance that she sought, namely, that ESSIAC® be produced and distributed for the benefit of all. On May 29th, 1995, Resperin transferred the rights to ESSIAC® and the corporation was voluntarily dissolved. Today, ESSIAC® Canada International Inc. owns the rights to both the ESSIAC® and ESSIAC® For Pets formulas and is exported worldwide.